I’m a mom blogger. It’s been three months since I’ve been blogging and it’s been a whirlwind, to say the least. But, what’s happening over here? 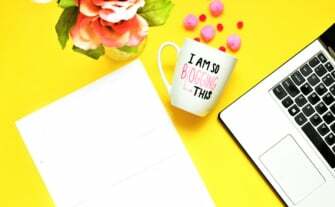 What’s the whole point of blogging if I’m not monetizing my blog, growing my email list and doing what ALL the other bloggers are doing out there? Well, I am a stay-at-home mom. That’s my top priority. My blogging journey was born out of the idea of wanting to start a blog and sharing my tips and experience as a mom. Sure, I’m a first-time mom, but I know a few things about organizing, hacking my way around and being a mom. And I thought I’d share my blogging journey too! Why am I not earning an income on my blog? Blogging is such a new thing for me. Every day I’m reading until midnight learning as much as possible about blogging, monetizing your blog and building your email list. I know that if I want to make an impact as a SAHM, I have to pull my weight around and that means finding ways to get income into this house. During these three months, I was mostly behind the scenes figuring it all out. I just don’t have time to monetize my blog…until now. I recently wrote a big post on 63 ways to live on one income so you can be a stay-at-home mom for good. By far, this post has been my MOST popular one ever, in terms of social shares. I still haven’t figured out why I don’t have much engagement on the blog in terms of blog comments. Anyways, so this big post, since it’s my most popular blog post, I’m going to monetize it (if I haven’t already) using affiliate marketing. Why am I not building an email list? There’s just too much to learn regarding blogging, right? I don’t want to bog myself down with having to learn all about emailing, email platforms like MailChimp and then how to grow my list.. This is way too much for a new blogger. I’d rather focus on blogging and monetizing first. If that doesn’t pan out, I’ll think about creating an email list. But, here’s the thing: I want to offer amazing free guides and resources to my readers! But, how do I do that without having people sign up to my list to access these freebies? Well in my chores post, I created a downloadable printable of a chore list and all you have to do is click on the image and it immediately opens up a Google sharing sheet! How cool is that?? I LOVE this idea. I can offer these printables and resources and make my readers happy. And I know pinners like free printables!!! The pins associated with the chores post has a lot of repins too! So in the three months I’ve been blogging, I’ve written four blog posts. As you can see from the last two headlines, I read a lot about headlines during that time! 🙂 And, you know what? Those last two have more pins and shares than my first two. So, my learning is totally paying off! But, I still made massive mistakes during my first three months blogging. One thing I learned is that if you pick a theme, play around with it and customize it and then switch themes…when you go back to your original theme, your customizations don’t save! I was playing around one night with free themes and ruined what I was working on for Smart Mom Ideas! I finally gave up and switched to a completely new theme. But, the mistake was having a non-functional site for a day or two. Now, granted, I don’t even have 100 people visiting me….yet 🙂 but I have to be careful about just “playing” around with themes. Here it is! Isn’t this the bane of every blogger’s existence? Not having the time to write??? Other moms I know think I have all this precious time at home to blog and go for coffee and just frolic in the tulips all day! No…I’m doing chores, cooking, running errands and still trying to get more done. I’ve gotten better (like having to time block “blog writing” in my day), but a week can go by and I have no post. I love Pinterest! Don’t you? I can spend hours pinning and reading and checking out other pinners. It truly is my digital scrap book. But, here’s the thing: if you’re not consistent with pinning, you’re going to have a hard time growing your following. Until a few months ago I didn’t even have a Pinterest profile so this is all kinda new to me; but when I find something I love, I learn fast! So when I set one up, I didn’t have content to share. So I had to make it look like I did by creating two pin graphics for each blog post (smart eh??!). Then I learned all about group boards and how that can help you grow your blog and followers. I joined a few mom type groups, but it was a struggle to grow my followers to at least 100. I just don’t have the time to go on every day to pin my content. I know there are schedulers out there, but I can’t justify spending money when this blog isn’t generating any money. I think because I’m not consistent with my posts, I should probably have some sort of content plan, right? Basically, as of now, I just hop on Pinterest and find topics that way. But, that’s not working and I end up just going weeks without writing anything. I have to sit down and just come up with at least 6 topics to write. It may not be once a week, but it’s a start. I’ve been so busy I haven’t even explained who I am and what I do and all that jazz. I’m not that comfortable with showing my face, but I don’t mind talking about myself on this blog. The plan is to do a little “about me” blurb so that it’s helpful when new readers come to read my posts. There it is! What happened in my first 3 months as a new blogger. I know now that I enjoy blogging immensely and I can’t wait to see the possibility in six months or a year from now! If you’re a new blogger or mom blogger, comment and tell me about your new blog! 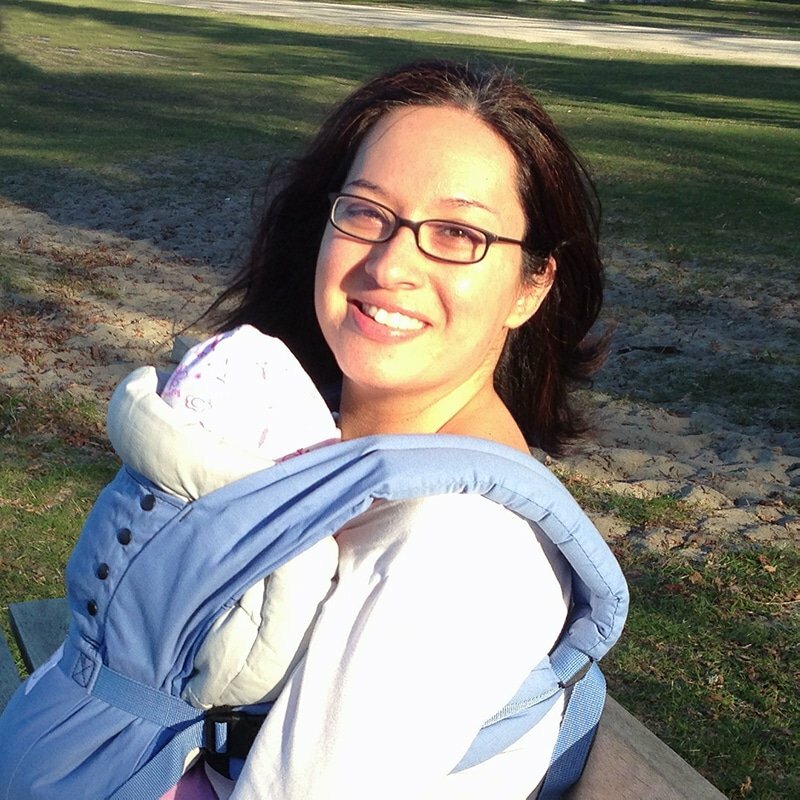 I'm a Millennial mom who loves finding hacks and smarter ways for a better home and blog! From parenting to budgeting to blogging to organizing and more, Smart Mom Ideas is for moms who want a smarter way of life! Thanks for sharing your journey. I have had my blog up for 12 months and have not shared it with anyone. Not really sure why. Lack of confidence maybe. I like your honesty and appreciate how you are sharing your journey where someone like me can relate: a newbie. I am now inspired to take my blogging more serious. You have gained new follower. I can’t wait to hear that you have reached more of your goals. I plan on being right behind you! Thanks for sharing your journey! I’m also a new blogger (3 months) and I could totally relate to pretty much everything you said. I deleted my entire website multiple times, and cried my head off for hours because it was just so much work to get it how I wanted. I also struggle with getting engagement on my blog and havent really made any money either. It took me months to even get ads up. Not because I didn’t want to, but the copy and pasting of the code was miserable. Like I said, I can relate to your experiences. Keep it up! And good luck! I just want to say thanks for your post! I’m new to blogging and still haven’t launched. I’m working on my content and want a few more posts before I launch. Reading this just reminded me of the things I’ve been wanting to focus on before the launch. Thanks so much for sharing your struggles and congrats on your 3 months!! Wonderfull post!! I guess these are the common mistakes which are done by every new blogger especially not being consistent. In the start of my blogging career, I was suffering from a lot of things. I start my blog without having a plan or goal as well as I was trying to be someone else instead of being myself. After reading lots of blogging tips, Finally, I got to know how to write a blog in a simple manner. Just wanted to say: keep at it! I’ve been blogging for two months now and taking care of a one year old and working 30 hours per week! Good for you! I know Cathy would love to hear that! I love that you are sharing your progress/struggles so early on in your blogging project. I started my blog last month (always wanted to, just didn’t until now) and I have also been keeping a journal about the things that I have been learning along the way but I just haven’t been posting them but its a great idea! I am also a stay-at-home mom and I find that the only time that I can realistically work on my blog is to wake up early. I write down ideas for posts, to-do lists & goals for my blog in my phone memo list so I don’t forget when one of my knee-high distractions needs me. Mine was one post a week but my new goal is 2 posts a week. I also just signed up for Mailchimp but need to finish my setup because I figure I’ll send them out when I can that way I atleast won’t miss out on people who want a newsletter. Good luck on your blog and I will Pin this to my small following! Gotta support my new blog sisters! Great post! I am also a SAHM and I have also just started blogging. about 5 months now. Shew! It’s so hard to keep going. I just love how honest you were in this post and I can’t wait to read more! Aww thanks so much Jodi! Yes, it’s a challenge for sure. I’m spending so much time LEARNING instead of BLOGGING. So, this month, I’m taking a break from learning and just blogging. Congrats on making it 5 months! I can’t wait to see where this blog is in 5 months. I may chart my blog process every month since it seems most people comment on those types of post (like this on!) Thanks for stopping by! Thanks for telling me about BB. I’ve looked into it yet, but I just can’t invest any more money until I start making money on this blog 🙂 Ha..But BB will probably be the first tool I invest in. Thanks! Thanks for the post. I am a new mom blogger too, and I noticed I have made a lot of the same mistakes. Trying to Pin consistantly is the mistake I am working on now. I have also just now started looking into headlines. Thanks for commenting 🙂 It’s comforting to know that I’m not THE only mom blogger who made those mistakes 🙂 It’s all a learning thing right? I would LOVE to contact you! Thanks so much Eva! Glad you enjoyed the post.